Boho Chic Style: Are You a Fan? Bohemian. A person who has informal and unconventional social habits; especially an artist or writer. Visions of the 70’s hippie culture probably come to mind when you think about what Bohemian style looks like. 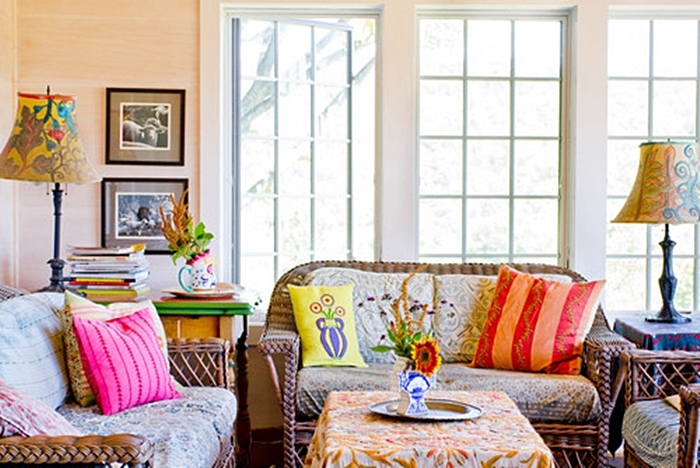 In decorating, Boho Chic style is typically colorful and laid back. 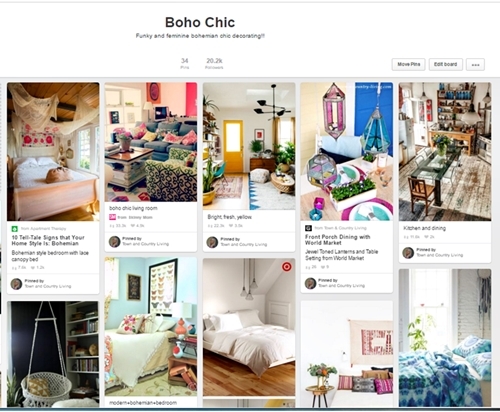 My daughter’s a fan of boho chic and we share a board on Pinterest to collect our favorite Bohemian style rooms. 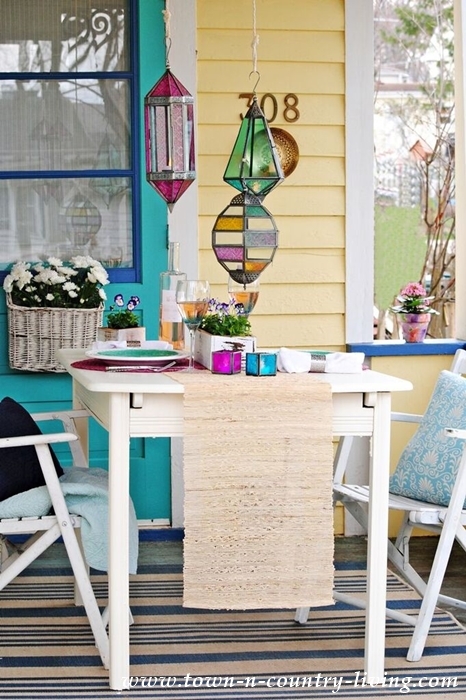 I also have an ideabook on Houzz dedicated to this colorful eclectic style. Here are several photos from that book. 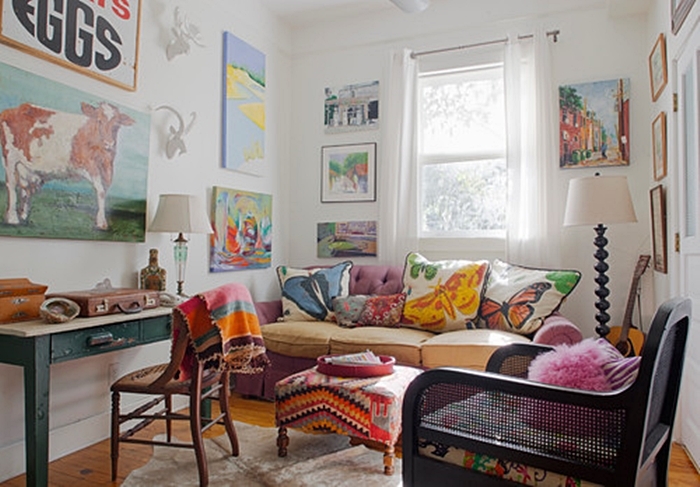 Bold, beautiful butterfly pillows line a comfy couch in this boho chic living room; walls lined with colorful artwork and a bright patchwork ottoman. Note the fun addition of farmhouse style with the cow painting and Eggs sign. 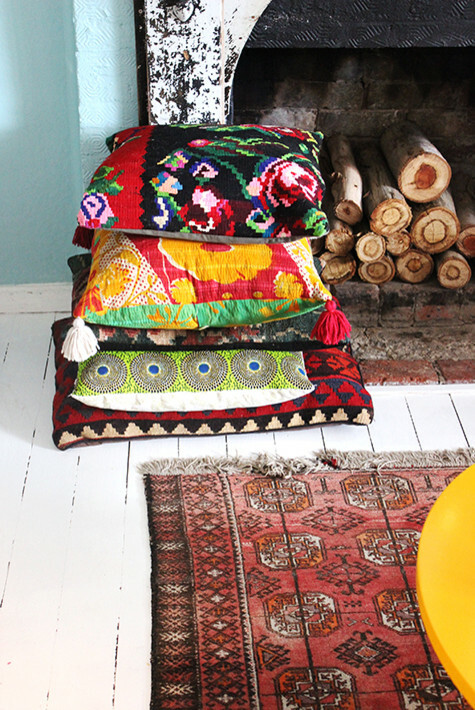 Brightly patterned rugs are a tell-tale sign of Bohemian style. In fact, the more rugs on the floor, the better. Bohemian style in this city living room takes a slightly more formal approach, with the classic bright patterned rug lending lots of fun underneath the purple couch and ottomans. Floor pillows are a classic staple of boho chic style. Tassels and colorful patterns are the crowning touch. 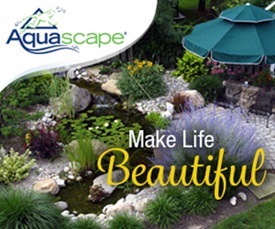 Yes, you can enjoy boho chic style without saturating your home in color. 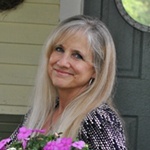 Shabby chic style is similar to bohemian, but at a softer, faded volume. 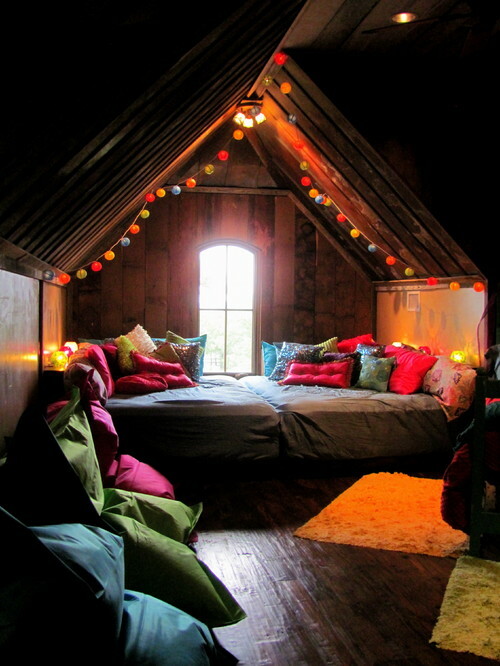 An unconventional bedroom with party lights and pillows in every hue would be the perfect retreat for a teenager. 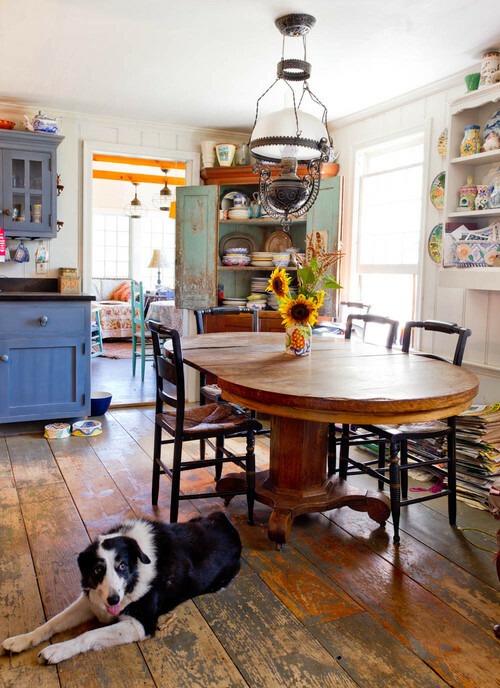 Doggie likes his eclectic Bohemian kitchen. Check out his dog dishes by the blue cabinets. He’s definitely a trend-setter with his boho chic bowls! Are you getting the idea that brilliant colors and patterns are the foundation of boho chic style? It’s certainly a fun style. 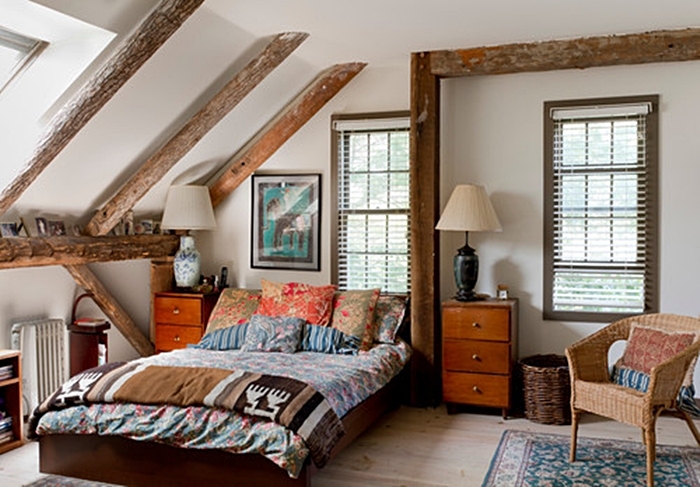 Bohemian beds tend to be low and close to the floor. Often times, a mattress sits directly on the floor. 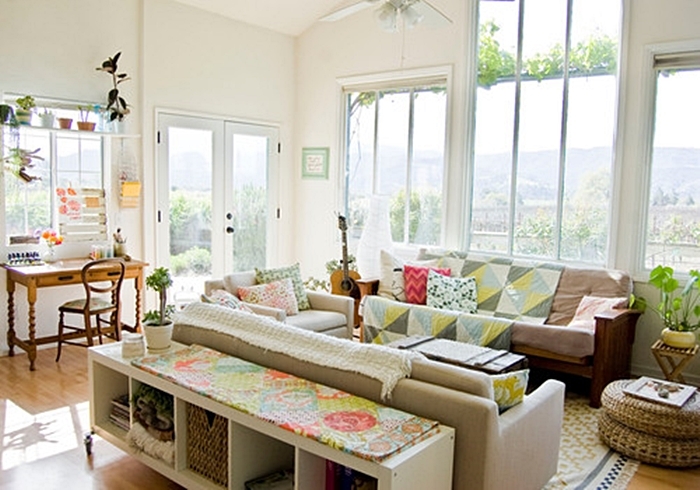 An easy way to add boho chic style to your own home is display quilts and patterned pillows. 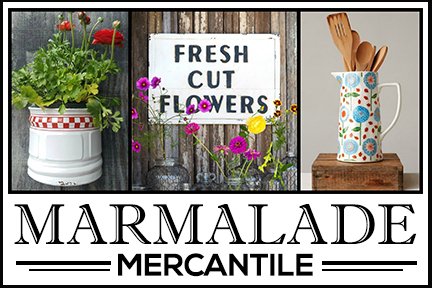 Scour your local flea markets and thrift stores for inexpensive quilts and textiles. Even if you’re not a fan of the boho chic style, you still have to admit that it’s a lot of fun! 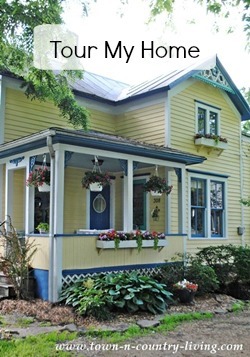 I even decorated my front porch recently with a bit of boho chic style! So tell me, are you a fan of Bohemian style? If yes, you might just be in touch with your inner hippie! I love every single photo you posted! I think thats my problem, I like TOO many styles. LOL I am off now to check out your porch decor post. Am definitely a fan of Boho and have been for too many years to admit to. So glad to see it becoming more mainstream. Wish I was brave enough to do my entire house, but have relegated it to a bedroom or two. Maybe a few things will slip into my more conventional décor now that you’ve given me some ideas. 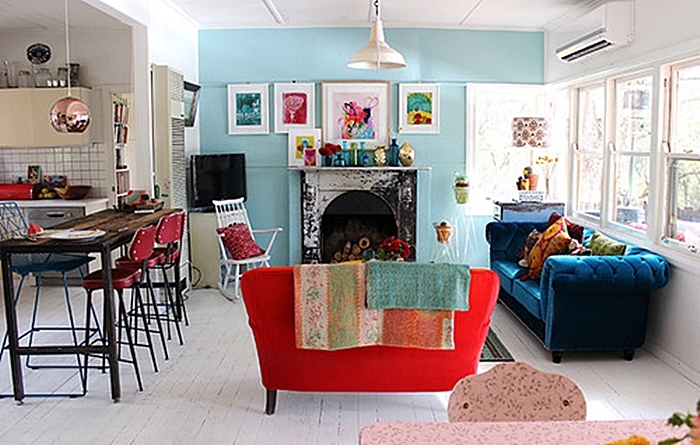 I love Boho too, I even did a couple of rooms in my house in that style with lots of color. 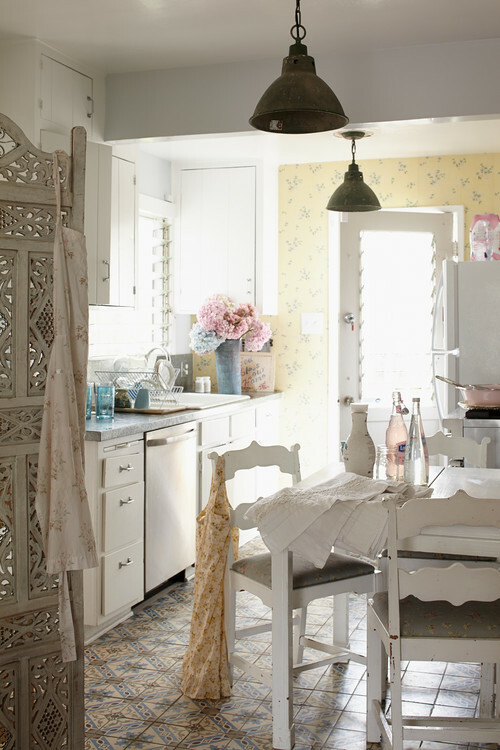 I’ve since decided that while I love it, I prefer a more neutral boho with lots of textures… more like the kitchen photo you posted with the shabby chic influence. I am such a fan. I love all your posts! I I have TOO many faves in your collection. Lemme check out your porch decor ideas. I would LOVE to locate the bright colored rug shown in the living room group with the magenta furniture. Any idea what brand it is?